NC State employees enjoying the tour of the student-built solar car. 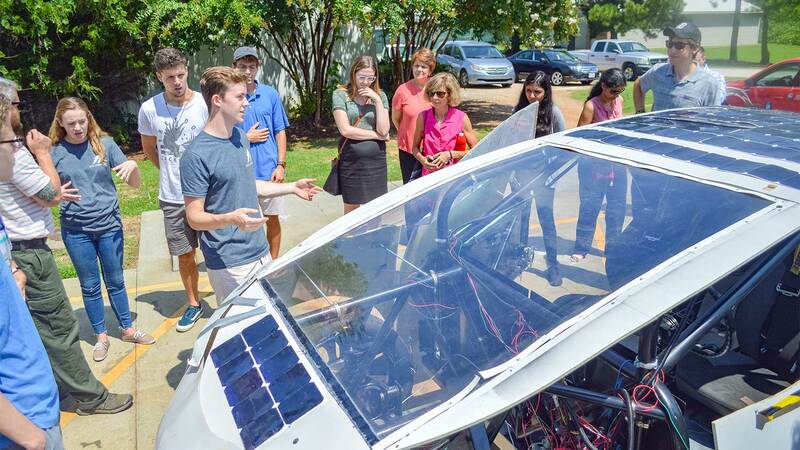 On the western edge of NC State’s Raleigh campus, a group of students called SolarPack have been designing and building a car for the future. 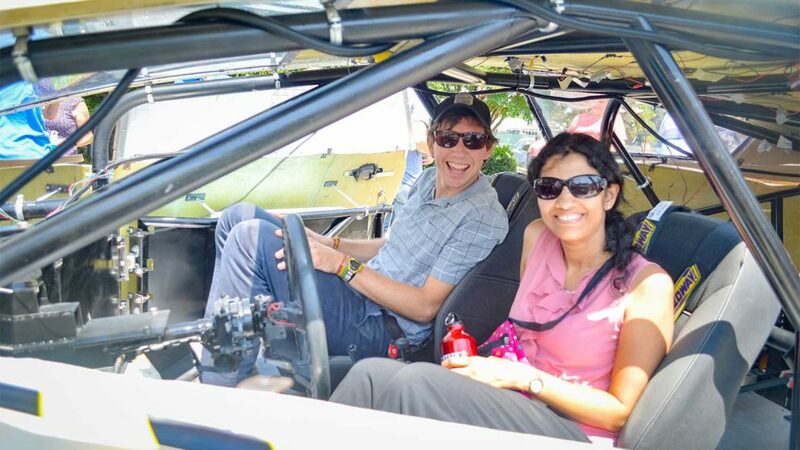 Unlike small solar cars built for efficiency alone, the students wanted to build a full-size car in order to show that solar and battery power is possible in a passenger-style vehicle. 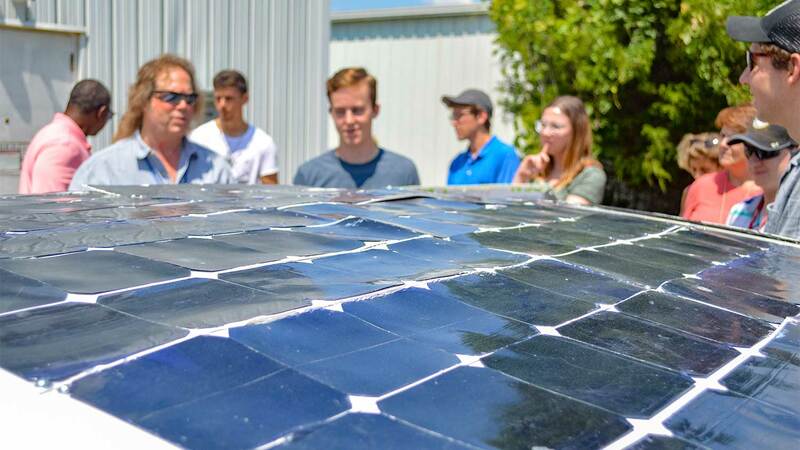 In August 2018, some of the group’s student leaders provided a tour of the solar and battery-powered car as part of the university’s Sustainability Partners program. The car is almost 16 feet long and 5 feet tall, roughly the same size as a Toyota Camry. 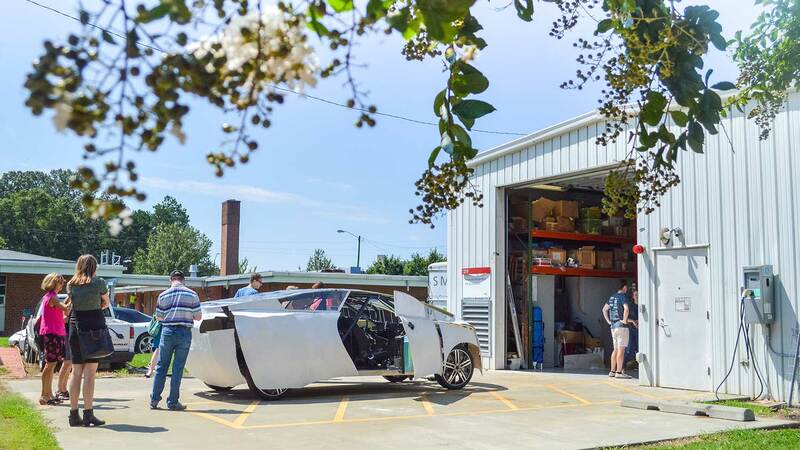 Students are building the car at the Advanced Transportation Energy Center Lab on campus. 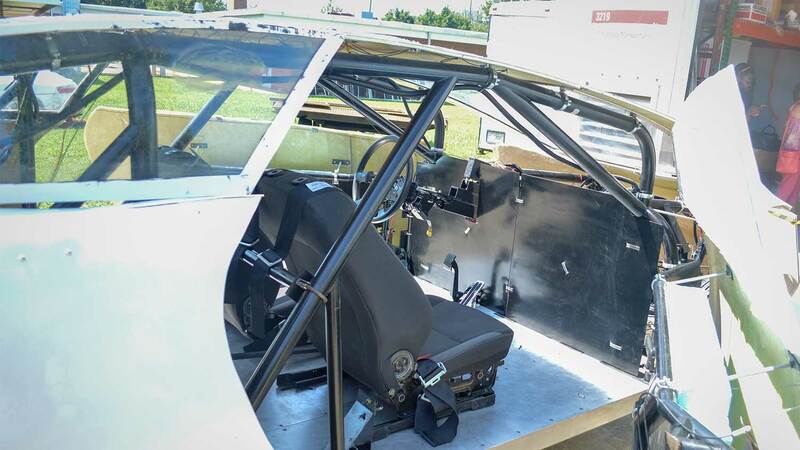 Students started building the car last academic year. 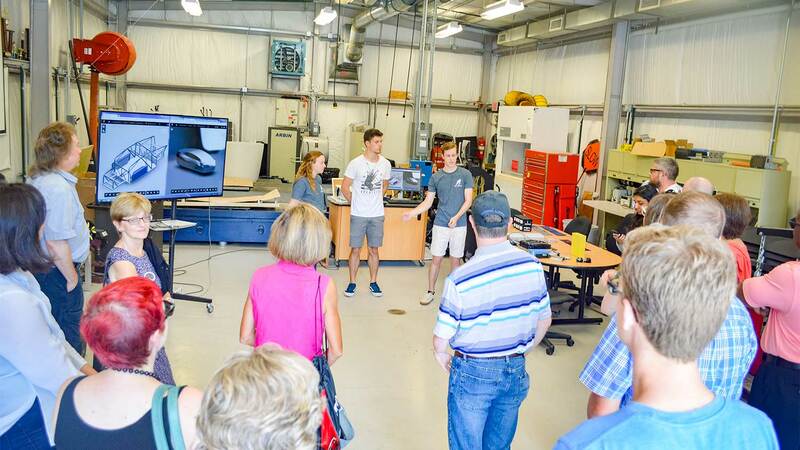 About 40 students from many different majors have been involved in the project. A simulation gives the car a top speed of 98 miles per hour and the ability to go from zero to 60 in about six seconds. The car is powered by solar cells and lithium ion batteries for an estimated 220-mile range. The team hopes to race the car at the World Solar Challenge in Australia in 2019.